In baby world, there are many things that we are grateful for their invention (because really, you need all the help and gadget you can get in raising a little human being!) and one such invention is the travel system stroller. They essentially make life so much more easier and convenient! 1. What Is, & Do You Need A Travel Stroller System? A travel stroller system is basically the best baby car seat and stroller combo - a 2-in-1 prepackaged system of a car seat and a matching stroller which you can clip the former onto easily. continue to sit in the car and wait patiently until baby wakes up? Precisely why you would need a travel system in such a scenario. It allows you to transfer your sleeping baby from the car to the stroller without waking him/her up. You know how hard it can get trying to put a baby to sleep! Another reason why we think you should be getting a travel system stroller is that generally, babies can only sit upright unassisted when they hit 6 months old (some older). If you're to bring them out at newborn or infant age, your options would be pretty much limited - it's either an infant baby stroller (with bassinet) which baby will outgrow very soon, or a baby carrier. Of course, you can always get a stroller that allows infant car seats to be attached, but you will have to check if the stroller can fit your brand of car seat (or vice versa), and you will need to buy an adapter separately to attach the car seat onto the stroller. To save the hassle, many parents opt to buy a travel system once and for all to rid themselves of all the troubles. 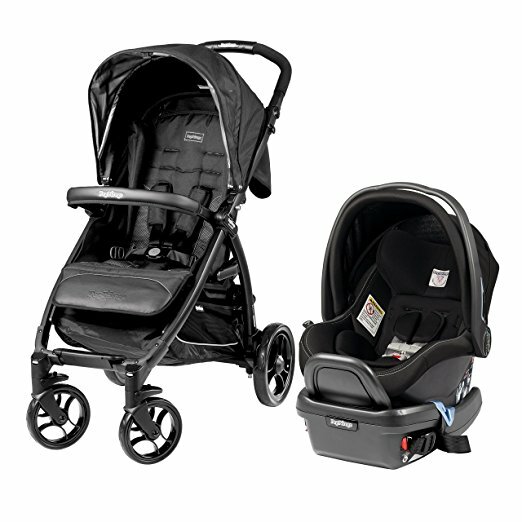 We will now review what are the top rated travel system strollers the market has to offer. Be it you are looking for the most lightweight travel system, or one that you can go jog about with ease and comfort, there is bound to be one best baby stroller travel system for you! 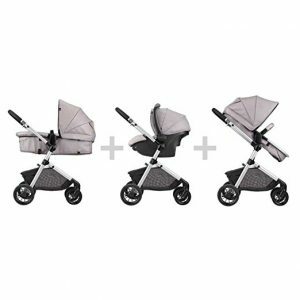 Heads off, a travel system will not be as light as umbrella strollers or lightweight strollers because it is after all, a 2-in-1 package, however, the Peg Perego Booklet Travel System truly is a pleasant surprise! Weighing less than 20 pounds (19.62 lbs to be exact), you cannot find any travel system lighter than this. This lightweight travel system has a frame that is composed of lacquered aluminium, which is very solid, yet lightweight enough to be easily manoeuvred and carried. It has a unique 'book-like' folding mechanism (hence its name) in that it folds inward to ensure the upholstery is always protected and clean, and once closed, it stands on its own and is compact enough to be stowed anywhere. An automatic locking system keeps the stroller closed for easy transport when folded. The streamlined design of the booklet allows it to be manoeuvred with ease through heavy sidewalk traffic, narrow aisles and crowded elevators. 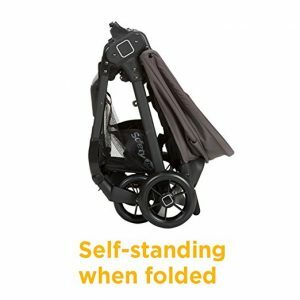 The hood has an extendable UPF 50+ protecting visor, which helps shield little ones from the sun's UV rays and wheels with ball bearings and suspension let the stroller be pushed effortlessly, while easily overcoming bumps and uneven surfaces. Enough with the frame, let's talk about the matching car seat - the Primo Viaggio 4-35. It attaches directly onto the seat without the need of additional adapters if you recline the stroller backrest and place the car seat on the built-in, retractable anchors. What's worth mentioning is that the Primo Viaggio 4-35 has a Side Impact Protection (SIP) that can be adjusted in six different positions with no re-threading required. Energy absorbing EPS foam is used throughout the shell while EPP foam is employed in the headrest to enhance protection and is perforated to guarantee maximum air circulation. If that is not enough assurance, the innovative Dual Stage Cushion System will ensure even the smallest of babies are properly positioned and supported. With all these amazing features and at such enviable weight, plus the fact that is wholly made in Italy, the Peg Perego Booklet Travel System does not come cheap. However, if you have the budget, this lightweight stroller travel system is definitely one of the best stroller travel system that we'd highly recommend. 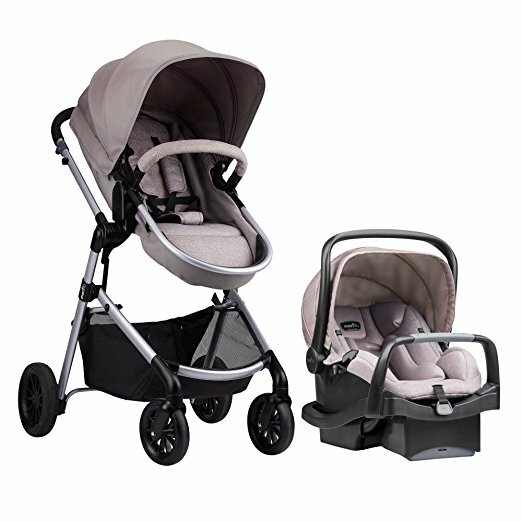 The best 3 in 1 travel system definitely goes to the Pivot Modular Travel System from Evenflo. This full-size luxury travel system features 6 modes of use - a reversible carriage mode offers 2 options, Frame Stroller, Travel system, and Toddler Stroller. Put simply, this 3 in 1 stroller travel system can be used in 3 modes - (1) carriage/bassinet, (2) frame stroller with infant car seat and (3) toddler stroller - with each mode reversible so baby can face in or out, depending on your preference.This also means it can accommodate infant and children from 4 - 50 pounds, maximum. As one of the best infant car seat and stroller combo, the Evenflo Pivot Modular Travel System features the SafeMax Infant Car Seat and the SafeZone base which allow you to move the car seat from base to stroller with one secure click. The new Cruiser Tires provide baby with a smooth ride, while also making the stroller effortless to push with its ergonomic handles. 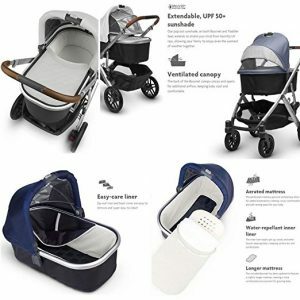 Other features include a full coverage canopy, convenient in-seat fold, large storage basket, Flex-Hold parent cup holder and ergonomic handle as well as adjustable 3 or 5 point harness to keep both baby and parent comfortable. Best of all, the Evenflo Pivot Modular Travel System has a very reasonable price point, which explains why it is among the top travel system strollers rated by so many parents. If you'd read our lightweight stroller reviews or double stroller reviews, you will not be unfamiliar with the Baby Trend Expedition model, this time, it's the brand's Jogger Travel System. 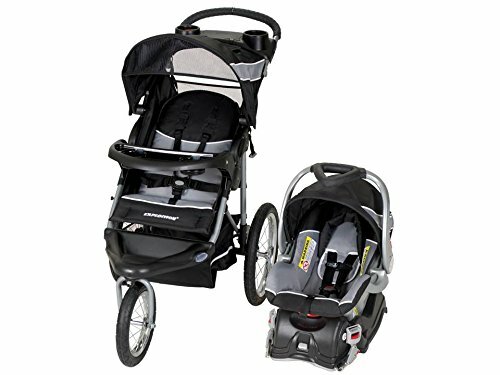 This is the best jogging stroller travel system - it combines the Expedition Baby Trend 3 Wheel Jogging Stroller and the Baby Trend Flex Lock infant car seat with lock in car base (both of which are bestsellers in their own right) in one unit. The 3 wheel stroller frame is one of the best bike trailer jogging stroller as its designed to handle even the roughest terrain, thanks to the use of all-terrain wheels and a lockable front swivel wheel for jogging. 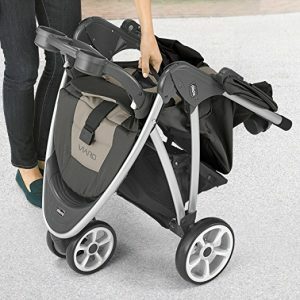 The swivel allows for easy manoeuvrability even in the narrowest lane or alley so for those living in busy cities, this is perfect (we think it is one of the best stroller for nyc)! In terms of the matching car seat that forms a travel system with the stroller, the Baby Trend Flex-Lock perhaps need no further introduction- this is one of the best travel car seat that parents will buy separately if not in this travel system style. 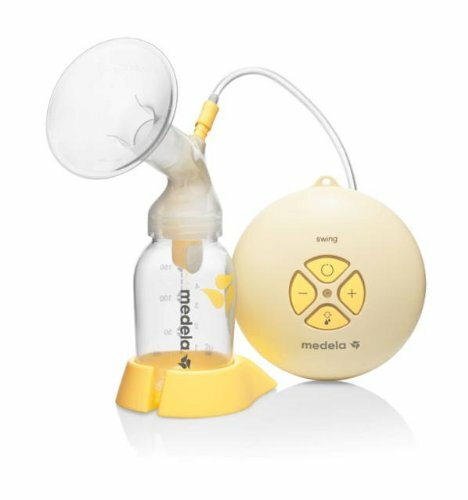 It accommodates 5-30 pounds and heights up to 30 inches tall, which means you can bring your little one out as young as newborn stage. The 5-point safety harness and EPS energy-absorbing foam for superior side impact head protection ensure baby is tucked in securely. 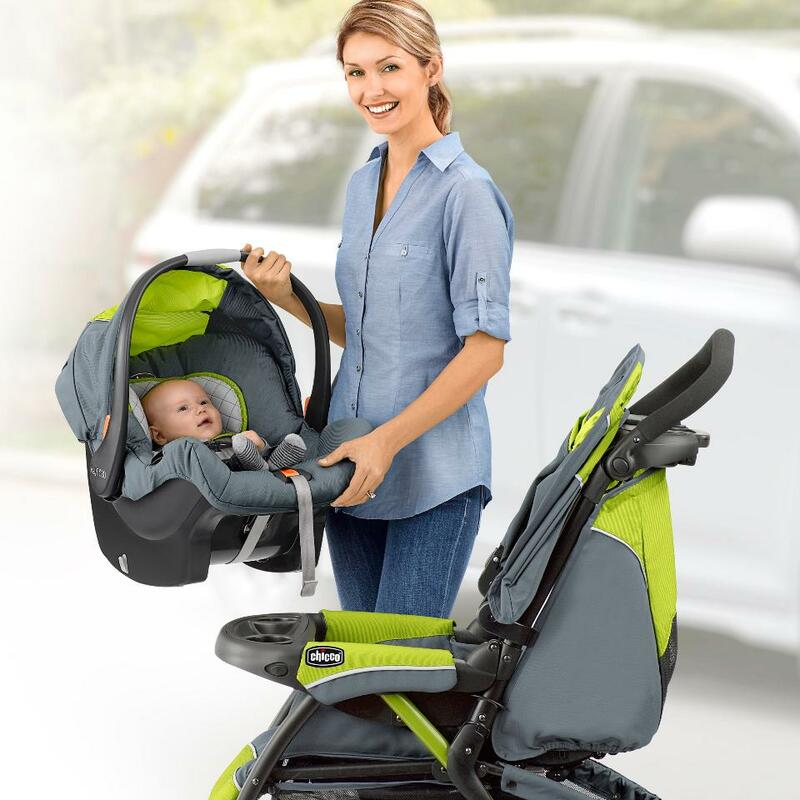 The Flex Lock Infant Car Seat easily removes from car seat base to allow a quick and easy click in attachment to stroller to make the Travel System, with the large smooth carrying handle allow for easy transport of child and seat. Bear in mind though, when you're using it as a baby jogger travel system, you should only walk and not run for safety purpose. The jogging function will only work when your child is in the stroller seat only. Nonetheless, use according to the instruction and weight limitation, the Baby Trend Expedition Jogger Travel System is one jogger travel system that you will certainly love (and it's very affordable, too)! There are many cheap travel system strollers but many are of questionable quality. This is why we never recommend strollers with prices that sound to good to be true. Nonetheless, the Safety 1st Smooth Ride Travel System is one that we'd highly recommend if you are looking for an affordable travel system stroller. This stroller has everything you need and none of the hassles other strollers are known for. Further, it has agile wheels to provide maximum manoeuvrability around tight and narrow corners (really, we're amazing at the high quality of this aspect!) and the flip-flop friendly brakes make it simple to put your stroller into park. Yes, it's that easy you can even do it in your flip-flops! When you're done for the day, there's no struggling to fold the stroller thanks to the lift-to-fold design. It's as simple as: Lift. Fold. Done. Best of all? It stands on its own when folded, so you have both hands free to manage your other stuffs first before packing it in your car. The canopy provides super-sized coverage and includes a special flip out visor when you want to give your child some additional protection. It also features a large peek-a-boo window that gives you an easy view during the stroll and provides your little one with better airflow as they enjoy the ride. 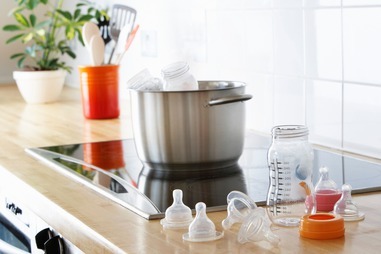 Both you and your child will have room for everything you need along the way. The parent and child trays are perfect for smaller items you'll want to keep close by, and larger items will fit easily into the extra-large storage basket. In terms of the onBoard 35LT infant car seat that is included, the QuickClick lets you attach it to the stroller securely with one simple click so there's no need to fumble around with what seem like a thousand buttons and straps to put together your travel system. It also provides baby with a superior fit for ultimate safety, thanks to the 4-harness heights spaced right to give your child a better fit all the way from 4-35 pounds. The buckle adjusts in two ways so that you can customize not only the length, but also the buckle's position on your child. The seat has also been designed for a better reclined body position to give your baby a safer ride. At such a price, there really isn't many that live up to the quality as that of the Safety 1st Smooth Ride Travel System's. This is one affordable travel system stroller that you will definitely not regret buying! We've reviewed the best cheap travel system for you, now it's time for the best luxury travel system stroller and it is none other than the 2018 UPPABaby Vista Stroller. Even the handlebar and bumper bar covers are made of genuine leather! No surprises there, considering UPPABaby is known for its high quality and luxury strollers. The 2018 Vista Stroller comes with the ever popular VISTA stroller, 1 bassinet and 1 MESA Infant Car Seat, and accessories like a bassinet storage bag, bassinet bug shield, toddler seat rain shield, toddler seat bug shield, toddler seat canopy, basket and car seat base are all included. 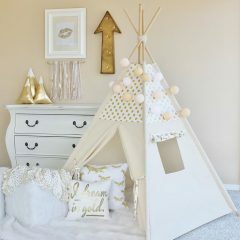 With this one, you truly do not need to buy any extra items to provide the best luxury and comfort to your little one. If you're not familiar with the Vista Stroller, this is one perfect stroller for growing families as it accommodates your little one from birth to the toddler years. The versatile design allows for multiple configurations to transport up to 3 children, all the while strolling like a single. The toddler seat is front and rear facing adjustable, and 180-degree reclinable with one hand. The Mesa car seat probably doesn't need further explanation - it is the most loved car seat among its competitors that attach directly to the Vista in seconds to create a performance travel system, no adapters needed. Every part of this travel system is thoughtfully designed and made. The bassinet has a perforated mattress pad and vented base to allow added breathability, and a water-repellant inner liner and updated longer mattress altogether create a more comfortable environment for baby. Likewise, the bassinet canopy is also ventilated if you unzip and open the back for additional airflow. The pop-out sunshade for both toddler and bassinet is extendable to shield your little one on even the sunniest day, so that harmful rays cannot penetrate in to harm those delicate skin. The rain and bug shield provide further protection from the elements so truly, the 2018 UPPABaby Vista Stroller is the best travel system that will get you through all kinds of weather and condition! Double babies? Don't worry, you won't need to buy two separate travel stroller systems. The Baby Trend Sit N Stand Tandem Stroller comes with 2 car seats to form one perfect travel system for your convenience! This convertible double stroller travel system features 2 toddler seats, the rear seat slightly raised to give its passenger a better view and is removable for a standing platform for your older child, if you have close-by-age children. You know, sometimes kids just cannot sit still, so this twin stroller travel system gives them the option of sitting, standing or sleeping without compromising your convenience. 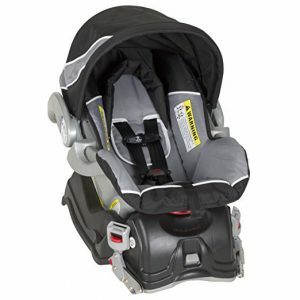 And what you see is what you get - it comes with 2 Baby Trend Flex-Loc Infant Car Seat (one of the best car seat for travel) which can both be attached to the stroller frame easily. This way, you can bring both newborns out simultaneously to explore the world together! The infant car seats feature a 5-point harness with simple one-hand adjustment and push-button release, 4 position height adjustment and a height adjustable seat back for a secure and snug fit of your babies. It also includes two stay-in-car bases with one-hand seat release and a carrying handle that is as comfortable as comfortable can be. Remember though, to adhere to the weight limit of 35 pounds (or 30 inches long) before you have to switch out of these infant car seats. Double the safety, double the style - transporting your double babies will never be a tough job anymore with the Baby Trend Sit N Stand Tandem Stroller. 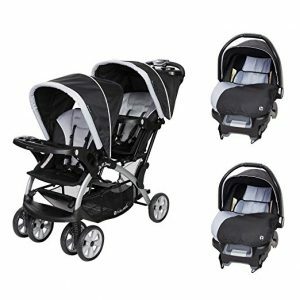 This best double stroller for travel will conveniently fit your lifestyle and for all that you're getting, we think it is priced fairly reasonably, definitely a bonus to know! For on-the-go parents, we would recommend a travel system that is convenient and lightweight for you to pack easily and store compactly, preferably, with just one hand! 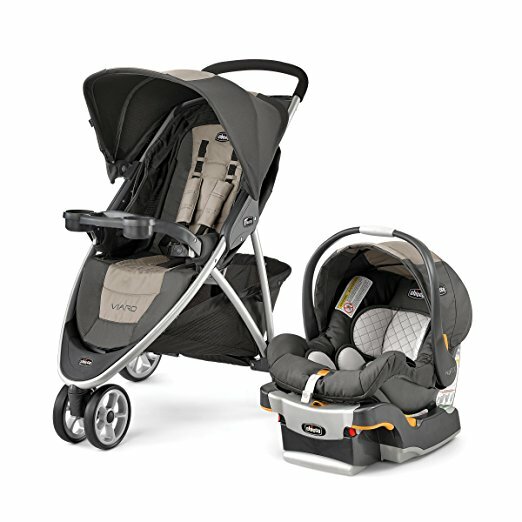 The Chicco Viaro Stroller Travel System is exactly just that! At 18 pounds, this is perhaps the lightest travel system you can find in the market, thanks to its ultra lightweight aluminium frame. It enables a compact one-hand quick fold convenient feature that you will come to love and appreciate, especially when are parents on the go. The 3 wheel design allows for nimble steering with a sporty stance, and the sleek styling is sure to turn some heads. The Viaro includes an adjustable, removable canopy, independent toe tap locking brakes, and a 5 point harness. A large basket that is accessible from the front or back provides plenty of storage for all the things your baby needs. Front wheel suspension gives just the right ride, and both baby and parent each have a tray with cup holders. The included infant car seat - the Key Fit 30 is equally just as amazing. With a thickly padded infant insert to give extra support for smaller babies around the head, neck, back and bottom, it is able to accommodate infants from 4 to 30 pounds safely and securely. The harness has a one-pull tightening and loosening feature for a quick harness fitting and the carrier shell is lined with energy absorbing foam for further protection. Further, the vehicle base features an innovative LATCH management system, easy belt routing, one-pull, centrally located tightening strap and a spring-loaded leveling foot to make installation easy. For those without LATCH, the base has a built-in belt locking system and an enclosed underside to protect vehicle seats from damage. Once the base is properly installed, securing the Key Fit onto the base is easily done with a reassuring audible "Click" and removes with just one hand. Really, the Chicco Viaro Stroller Travel System is everything you'd dream of of what a convenient, hassle-free and lightweight compact travel system should have, and more! 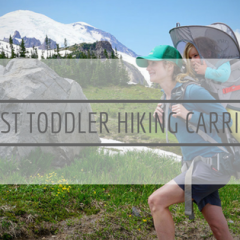 It is truly the best travel system stroller for parents who are required to travel frequently! 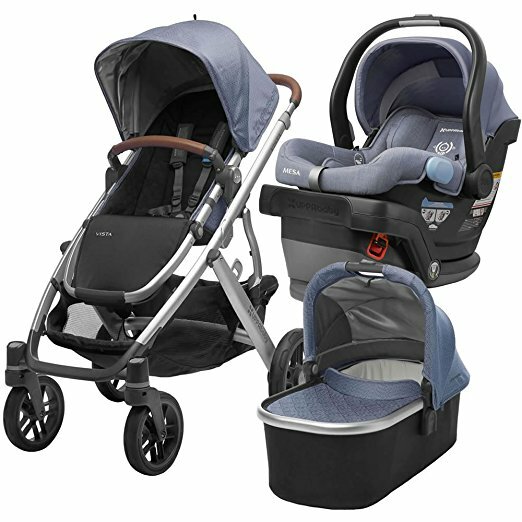 Aside from the convenience of transporting a sleeping baby from the car seat to the stroller without waking him/her up as mentioned in the beginning of our travel system reviews, another benefit that cannot be ignored is the fact that a travel system is one that will last you from newborn to toddler years. Do you know that generally, babies can only start to sit upright on their own around 6 months of age so before that, a regular stroller wouldn't be safe to them. Unless you want to wait till then, which is perfectly fine if you don't intend to bring baby out of the house or if you're happy with a baby carrier, but if you'd like to explore the world with your newborn as soon as possible, then getting an infant travel system is the way to go. And if you do the maths, getting a travel system is actually cheaper than getting a stroller and car seat separately. So even though a car seat travel system may seem a tad expensive compare to other strollers at the first glance, they are actually worth the investment made considering the number of years of use you will get out of them. If nothing in our stroller travel system reviews appeal to you, why not check out our reviews on other types of strollers below? I want my stroller to have all the features a standard stroller has, but still light enough to be carried around. Is there something as such? 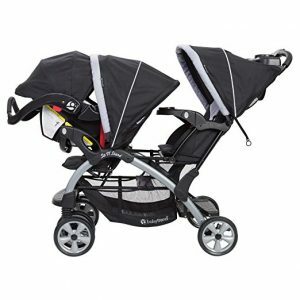 What options do I have for my twins besides a double travel system? In baby world, there are many things that we are grateful for their invention (because really, you need all the help and gadget you can get in raising a little human being!) and one such invention is the travel system stroller. They essentially make life so much more easier and convenient! Check out what are the best Black Friday and Cyber Monday deals these leading brands have to offer this year! 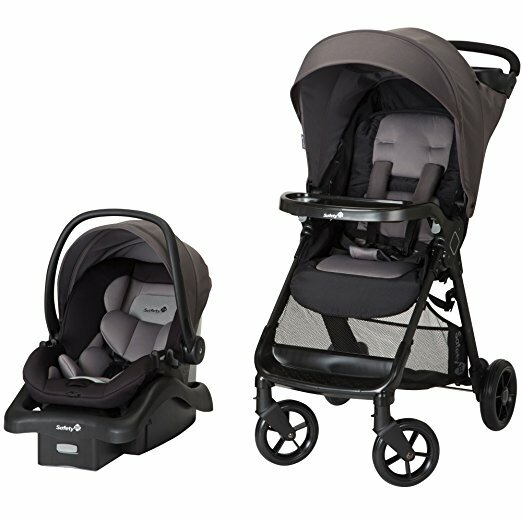 Evenflo Pivot Modular Travel System - A BLACK FRIDAY BARGAIN YOU DON'T WANT TO MISS! 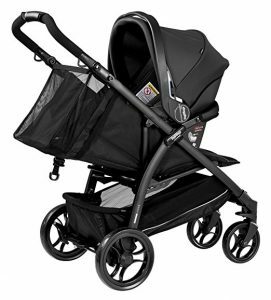 Chicco Viaro Stroller Travel System - BLACK FRIDAY FRENZY!